Naos Action Design is a project born from a unique vision of industrial design, with a central quest for movement. Many have tried to imitate this philosophy. But Noas uniquely offers productive excellence through continuous research. Lets talk with Thomas Morbidelli, President and Creative Director. How was the Action Design Project born? In the mid-eighties in Italy, design was in its full expansion. 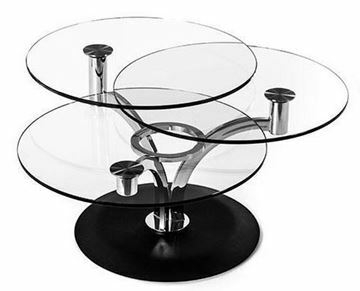 All around the globe, Italian design was recognized qnd imitated. Despite that, this constant research of new shapes failed to show coherence over time. In this context, Naos imagines a new scenario: a group of designers research, realize, and propose a collection of interior design accessories with a common trait of movement. What were the elements of that first collection? 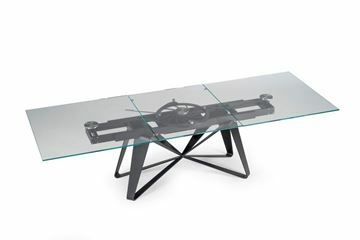 It was about a dozen extendable tables and coffee tables, able to transform in shape through original moving mechanisms. On one hand, Naos designed the future, interpreted as a conscious progressoin from static and self-referential formality. On the other hand, Naos faced the present, researching a new area in the market: interior design able to animate our homes. Initially, Arnaldo Gamba and Leila Guerra's studio - almost immediately sustained by Donato D'Urbino and Paolo Lamazzi, whose designs in the Italian style of the seventies are still displayed today at New York's Museum of Modern Art. Denis Santachiara, creator of iconic objects in the nineties, joined the group together with the ironic touch of Mario Merenco. Then Giusy Mastro came aboard, with a study on seating solutions, followed by Yoshiharu Hatano, who added to our tables a new graphic linearity inherited from the sophistication of his Japanese background. "Mechanics of movement" define Naos brand's unicity? Correct, moving mechanisms are the source of invention that still today characterize our entire process. Those mechanisms allow a wide range of movements in the living space - not simply extending, but also shifting the tops in different directions, raising or dropping them, opening or closing them, and so forth. All of this with extremely simple gestures. The originally hidden mechanisms, engineered in the structure in some recent products, are visually exposed to emphasize the value of a "domestic aesthetic machine." Furthermore, some of them are equipped with remote controls and wireless controls that open new scenarios for research. To those ingenious machines, you can match your choice of materials? Naos encompasses a profound productive know-how, with cutting edge galvanization plants. Chromed steel is our favorite material, usually paired with different shades of crystal. 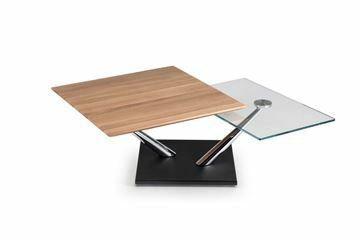 But of course we love to combine it also with other materials, work with different finishes - for example the lightness of aluminum, sometimes wood, recently ceramic. Those are all elements that enrich your work with a strong identity and a regorous, solid, consistent product? We believe that the use of those materials conveys the most correct interpretation of our products. 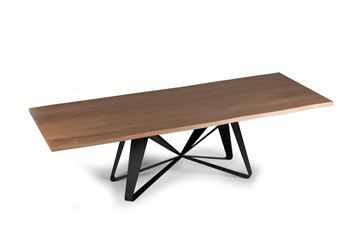 Our objects belong in the contemporary furniture category, with a strong visual impact corresponding to a unique concept of interior design. The quality of our production is explicitly expressed with the consistency of the materials. We are dealing with "difficult" materials to produce? This is another plus. 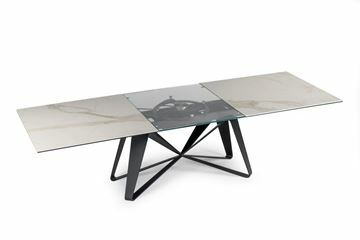 Many brands are producing extendable steel and crystal tables. But ours are inimi-tables. To be able to connect two crystal tops with a fluid movement and a simple gesture is pure engineering. A while ago some clients asked if a German constructor was behind our machines. Actually, everything is strictly and proudly Made in Italy. This suggests a "system of core values" beyond the product that encompasses a productive philosophy. This is the great mission of Action Design. The idea of movement is intrinsic to the product. In a way, it is the expression of a more intimate, moving identity of the brand. Not only our products can move; movement is also our company philosophy. In a global, variable, fluid market-with increasing dynamismm- it's important that the flow of our conceptual work is continuous, diverse, but coherent. Flow is movement: movement is Action Design.